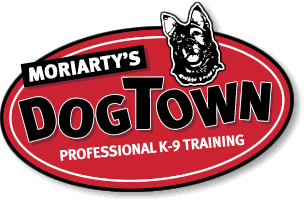 Moriarty's Dog Town, Professional K-9 Training, dog training - Brixx in his early days of Rally practice. He went on to receive his URO1 title a few weeks later! > Dog Training > Dog Training Videos > Brixx in his early days of Rally practice. He went on to receive his URO1 title a few weeks later!